The late Steve Jobs was brilliant, when he introduced iCloud to the world back in 2011 and described it as “the digital hub for your digital life”. Formerly known by many names, including MobileMe, this has been an innovative app suite for Apple users everywhere in the world. Nowadays, all the people who own some type of Apple device can access their data remotely and always get updated versions of their files. It is a great way to backup your documents and keep everything neatly stored online, while you can interact with others and download everything you want from iTunes. It is a whole new era and Steve Jobs was the one who seized this path! Of course, this is a name that self-explains what this service is in reality. Using the cloud, everyone can store or share files in all formats and types and there is no limitation as to the storage space that Apple users are able to take advantage of online. So, with this versatile tool available on the web, it is now a piece of cake to save and retrieve files everywhere you are or check through your stored data for any reason. 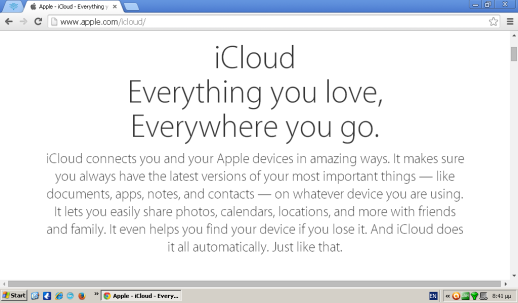 Indeed, the digital life of every single apple user is reflected on the iCloud. If you have an iPhone or an iPod, a tablet or a Mac, you are lucky because you are more than likely to be part of what the Apple iCloud is, and what it can do for you. For the rest of the world, it is high time you learn more about it! There are different plans for you to have your pick from, as far as the overall iCloud storage space is concerned. 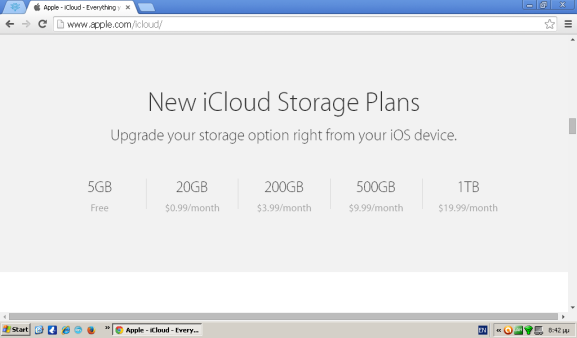 Upon your registration as an iCloud user, you receive a 5GB space to do as you please. Still, there are cases when this is not enough. You can upgrade your account and get 20 GB for $0.99 per month, 200 GB for $3.99, 500 GB at $9.99 and finally a whole TB for $19.99 monthly. Along with that, it is worth highlighting that everything bought on iTunes, iBooks etc. does not count as stored space and therefore does not limit your capacity to store additional files. Finally, your storage space can be shared with up to six different family members of yours with the respective option of family sharing offered. Personal Settings: Everything is made easy and simple, not to mention fun for you while using iCloud. There are specific iCloud apps available for all devices you make use of at a time, while there is also the icloud.com website for online access without your Apple device. File sharing and data storage are instant and do not require any special effort or technical knowledge whatsoever. What you save is updated to all your Apple devices and therefore this helps you best deal with your files and documents. Proper Apps Management: According to your needs and based on what you wish to do next, you have got spectacular flexibility and versatility in dealing with the apps of yours. iCloud is an innovative online service that allows you to access your files, documents, along with your photos and everything that has been downloaded on iTunes and iBooks in a blink of an eye. My Photo Stream: Photo sharing is made automatic and you can now pride in storing all your photos in albums and categories without fail or any delay. Invite others to have a look at your pictures and make sure that nothing gets deleted or amended. When you upload a picture or you edit something, this action is reflected on all your devices simultaneously. In this way, you never lose control of your stored files. Find My iPhone, iPad and Mac: Depending on the Apple device that you own, you can expect great responsiveness in case of an emergency. There are special features that will allow you to lock your screen and display a message, get notified upon the theft of your device and, last but not least, track its location. As a result, you can rest assured that you still have control over the Apple device of yours after it has left your hands. Automatic Downloads: When you start using iCloud, you will get to realize that it enables automatic downloads of everything you want. You can access iTunes and iBooks and get all the apps, as well as music, videos and e-books that you wish to download immediately. All this data will be accessible on the spot for you by all your devices and of course online. So, it is all simple and enjoyable to use and manage. Encryption Enabled: Positive news, when it comes to iCloud security! 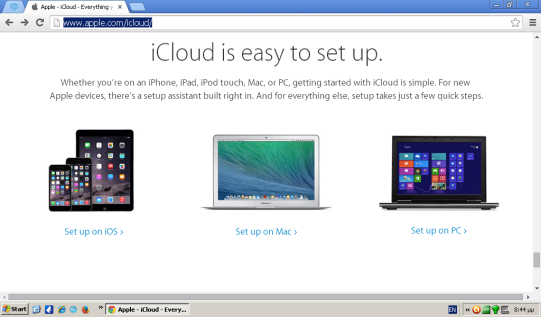 iCloud uses a minimum of 128-bit AES encryption, while the website of iCloud.com enables SSL certificate. So, this means that all the data stored and shared using the cloud is secured and there is no encryption key given even to third parties. Promoting strong passwords and enabling Apple 2 factor authentication add to the increased overall layer of security. Share Your Calendars: There are options for sharing a calendar with others, both publicly and privately. Using simple guidelines, you can access and share calendars with everyone you want. Besides calendars, there are similar options for sharing other data with Apple users (such as contacts, notes and reminders of all sorts). In this method, you minimize the time and effort required for sharing all the info that is critical to you and others. As you can see, iCloud has been revolutionary in the field of secure cloud backups. Just like it had been predicted, Apple cloud apps have brought a new meaning to the way people deal with their digital lives. The recent news about iCloud 2 factor authentication is even more comforting towards ensuring that there is no security breach or any reason for Apple users to worry. The cloud storage is more than enough and there are various plans for upgrading from the free 5 GB, which can serve the needs of everyone. Apple has made true progress, although there is always room for improvement!